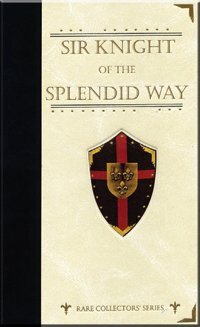 Sir Knight of the Splendid Way is a captivating allegory—a rich literary masterpiece that will encourage any weary traveler. This beautifully-bound work depicts life as a journey, reaching toward a beacon of hope in the City of the Great King. Beckoned by the King to travel the Splendid Way, the young knight must keep his armor on at all costs. All along the way he is tempted to take his armor off. Many try to convince him that the battle is not worth the fight. But only those who keep their armor on can see the real battle that rages, and only those with pure hearts will see the King. “Sir Knight of the Splendid Way inspired me like no book I have ever read. I agree that this is truly better than Pilgrim's Progress! This is a book I will read for the rest of my life."